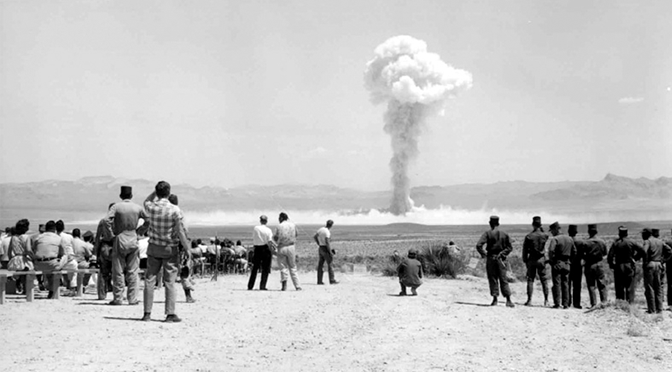 Cedar City, Utah is downwind of this Nevada nuclear weapons test site. 1953. It comes as a surprise to new Utahns, who move here for the seemingly endless and diverse swaths of open space, to learn that one of them, the Great Salt Lake desert, is viewed by many public officials and private businesses as a good place to dump the nation’s toxic waste. For decades, Utah has been a dumping ground for the military’s biological and chemical weapons, chemicals from MagCorps, and radioactive waste from around the U.S. and the globe at EnergySolutions. 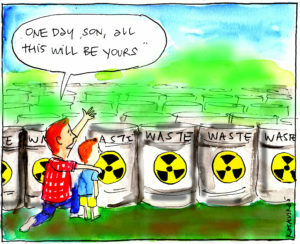 While radioactive waste has been out of the headlines for a few years, it hasn’t been off of the HEAL Utah radar. And as of this summer, we think it should be back on yours too. 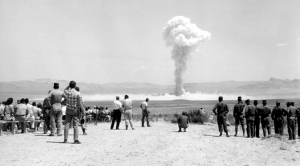 Between depleted uranium, Yucca Mountain, and small modular reactors, radioactive waste in Utah is making a come back – and it’s bigger and badder than ever. 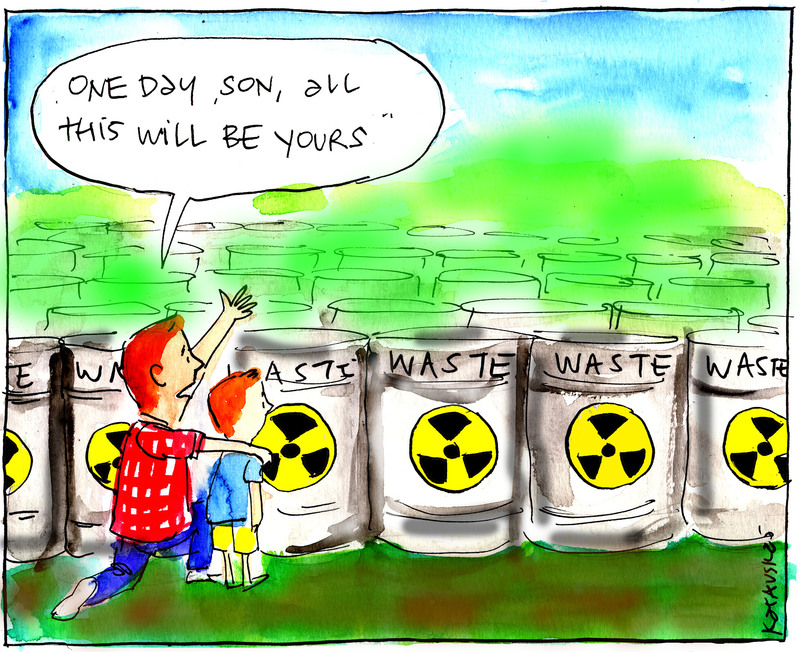 Depleted uranium (DU) is a byproduct of enriching uranium ore to make fuel for nuclear reactors and is the Trojan horse of radioactive waste: it arrives as low-level waste and then gets more and more radioactive over time – for thousands of years actually – and eventually becomes more harmful than other types of waste that currently banned in Utah. There are 700,000 metric tons of DU sitting in various places around the U.S. and EnergySolutions wants to bring it all to Utah. Right now, they are asking the state to allow them to bury all of this DU in shallow pits, just off I-80, west of the Great Salt Lake. Over the next thousands of years, DU will present significant threats to public health, including kidney impairment, lung damage, and cancer. If we let EnergySolutions bring DU into Utah, these risks will be passed on to our children, grandchildren, great-grandchildren, and so on. If you’ve been following HEAL for the last decade, this might sound familiar. And it should because this isn’t the first time EnergySolutions has tried to bring DU to our state. Last time, their attempt was stopped because Governor Herbert thought it might be too toxic, “Frankly, if it’s hotter than class A waste, we don’t want to have it,” he said. We will be working with experts to bring the technical flaws in EnergySolution’s new proposal to the attention of state regulators. But this may not be enough. We want to stop DU for good by banning it entirely from coming to Utah. But we need your help. You can urge Governor Herbert to block DU from entering Utah by contacting him here or sign one of our postcards when you see our booth at community events. Learn more about DU, including where it comes from and other reasons it’s bad for our state, on our DU Watch page. 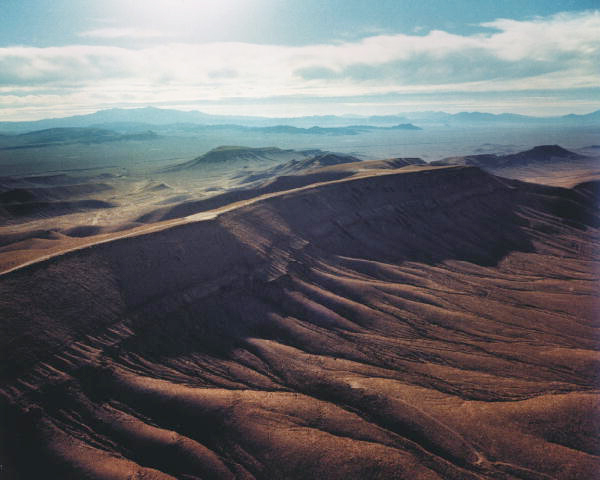 Yucca Mountain proposed nuclear waste depository. 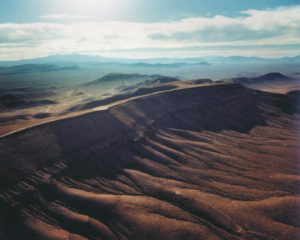 The Yucca Mountain, which is a proposed repository for nuclear fuel that is no longer usable in power plants but is still highly radioactive, has been the focus of national debate for over thirty years. It’s an idea whose time has passed, but, just like a zombie you thought was dead, it just keeps coming back. If Yucca Mountain becomes a reality, it would mean that 10,000 train and truck shipments of the world’s most toxic substance would roll through Ogden, Salt Lake, and Provo before heading to the Wasatch Front, down the I-15 corridor, and through St. George. 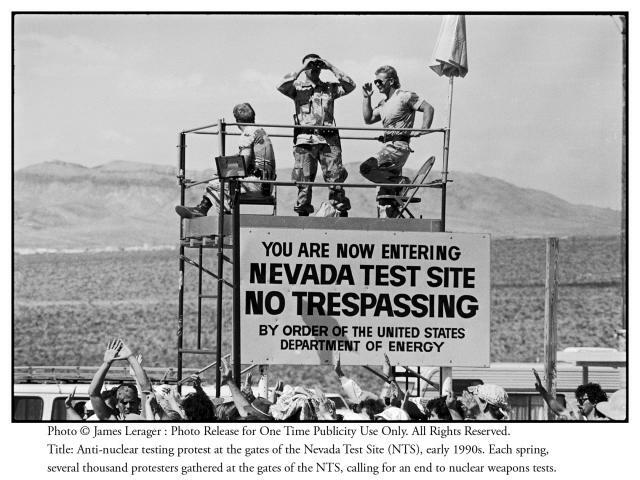 In 1987, Congress bypassed the scientific process used to identify suitable sites for deep geologic storage of high-level nuclear waste and instead selected Yucca Mountain, Nevada, near Las Vegas, as the single storage site. But, being too wet and too seismically active, Yucca Mountain has hit countless technical obstacles as a suitable place to store this waste. 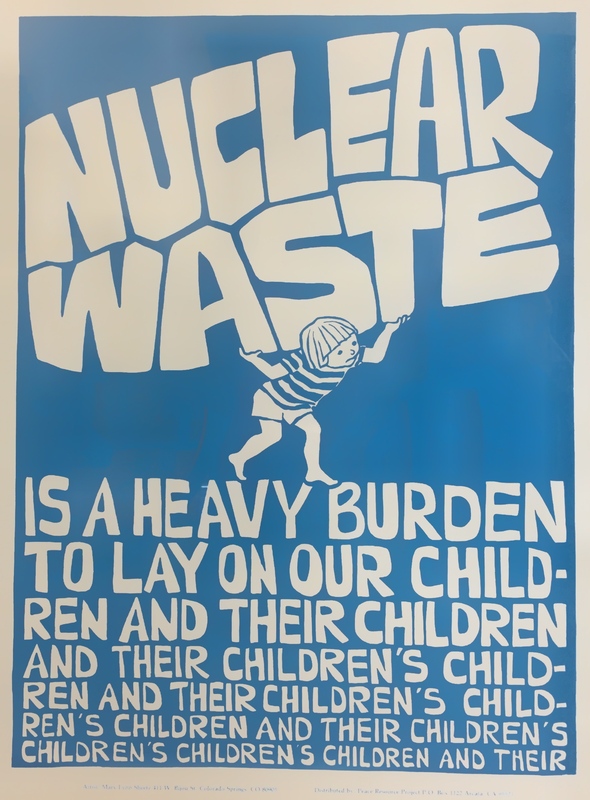 The result has been thirty years of legal, political, and budgetary delays that have prevented the issuing of a license to operate a nuclear waste storage facility there. However, in the spring of 2018, the nuclear industry convinced the U.S. House of Representatives to revive the Yucca Mountain project by passing a new funding and licensing bill. If the Senate passes this bill after the elections in the fall, Yucca Mountain could rise from the grave and those toxic trains and trucks would start to roll through our backyard here in Utah. Stay tuned for how to get involved as we closely watch this bill and pay attention to national action around Yucca Mountain. Small modular reactors (SMRs) are the nuclear industries’ latest attempt to convince the public that nuclear power is cheap and safe. We’ve been there many times before. A company called NuScale is working with about 30 cities and towns in Utah, that already generate their own electricity, to persuade them to invest in the nation’s first-of-its-kind, $4+ billion SMR facility just outside of Idaho Falls, Idaho. 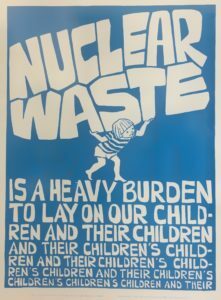 SMRs are an old technology in a new package and are not considered a commercially viable or necessary source of electricity by several independent nuclear physicists, other nuclear power businesses like Westinghouse, most major utilities, and, most recently, the National Academies of Science. This is a highly speculative venture to risk public funds on since there are not yet any operational SMRs. And, just as concerning, SMRs would bring nuclear power to Utah for the first time ever. The city councils in these Utah communities will be deciding over the next 18-24 months whether or not to commit millions of dollars from their residents’ utility bills to this project. With the cost of solar and wind power dropping fast, there is no need for these cities to add nuclear power to their electricity generation portfolios and commit themselves to support this project for the next century. These SMRs will result in more high-level toxic nuclear waste, which the nation already has a stockpile of with nowhere to dispose of it safely long term. We are following the development of these SMRs closely, including the nuclear power industry’s pattern of budget overruns and delayed project completion timetables, ratepayer protection issues, and overall economic viability. And we are consulting with power experts across the state and the country who think SMRs are a bad investment for small municipal power companies. Stay in the loop with DU, Yucca Mountain, SMRs, and all other nuclear waste issues by signing up for our email list. Welcome to the Board, Zach!